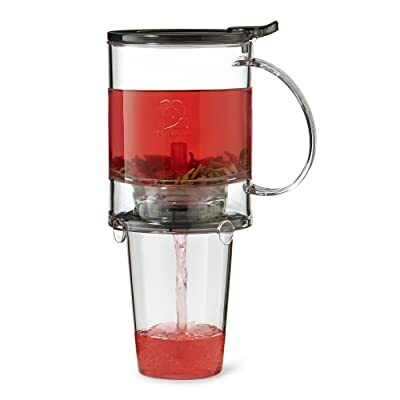 It’s a must for tea drinkers to have the best-iced tea maker in their kitchen. Iced teas are great during hot months, and these also serve as refreshments after meals. Indeed, if there are coffee makers for coffee lovers, there are also iced tea makers for tea drinkers (otherwise, it just wouldn’t be fair). This post will help you choose the best model for you. What is the Best Iced Tea Maker to Buy? 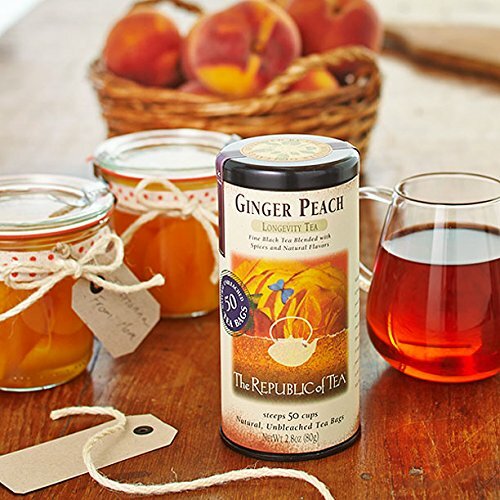 In anticipation for the addition of ice, teas that are intended to be made into iced teas are made to have strong flavors. So, instead of using just a few scoops of loose tea leaves, additional scoops may be added. Also, instead of using just 1 tea bag, 2 or more tea bags can be used instead. When the hot tea is ready, ice cubes are added to the drink to dilute the tea’s strong taste. The iced tea will then be in its normal strength and the once hot drink is now a cold drink. 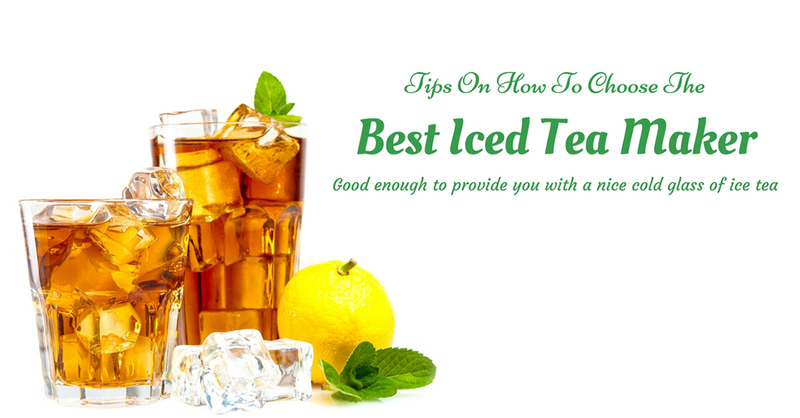 There are 2 basic types of iced tea makers – manual and electric. A manual iced tea maker doesn’t need electricity or battery to work. It depends on manpower, human strength, and the unit’s design to work. Electric or Automatic iced tea makers can be compared to drip coffee makers. As the tea leaves or tea bags are steeped, regular (hot) tea is produced. You then need to add ice to the mixture to make it an iced tea drink. If you want to be technical about it, know that there are terms that are applicable to making coffees and teas. While coffees are simply brewed, teas are brewed and steeped – but the principle is more or less the same. Note: Too, that tea leaves and tea bags are not as delicate as coffee beans and coffee grounds. Yes, tea can lose its flavor, too – just not as fast as coffee. Because of the nature of tea (when compared to coffee), a less complicated technology is needed when making iced tea in an automatic machine. Electric iced tea makers are, therefore (generally) more affordable than automatic coffee makers. Ok, so now you’re ready to buy an iced tea maker to provide you with your favorite drink. But wait, don’t just go out and buy a unit without first considering the points listed below. Size – Do you want to make just 1 glass of iced tea or a whole pitcher? 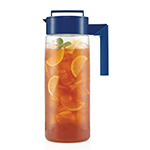 There are single-serve iced tea makers and those that can make a whole pitcher in 1 setting. Price – The price ranges of iced tea makers vary from cheap to affordable to expensive. Although your main aim is to save money from buying iced tea in specialty shops, buying a unit should still be within your budget. 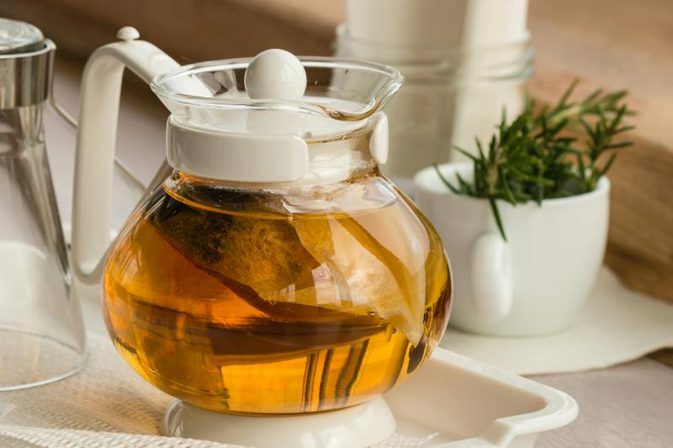 Now that I’ve shown you some of the basic facts in making regular tea and iced tea, I will now help you choose the best-iced tea maker for you. The succeeding Top 5 list is comprised of manual and electric iced tea makers. Look at their features, pros and cons before making your final decision. Capacity – This unit can make 2 quarts of iced tea (or 8 servings by the glass). Airtight Technology – The infuser and pitcher use an airtight lid to avoid leaks. Materials – The plastic materials used in this model are all BPA-free. Operation – Using the tea infuser, steep the tea in hot water. 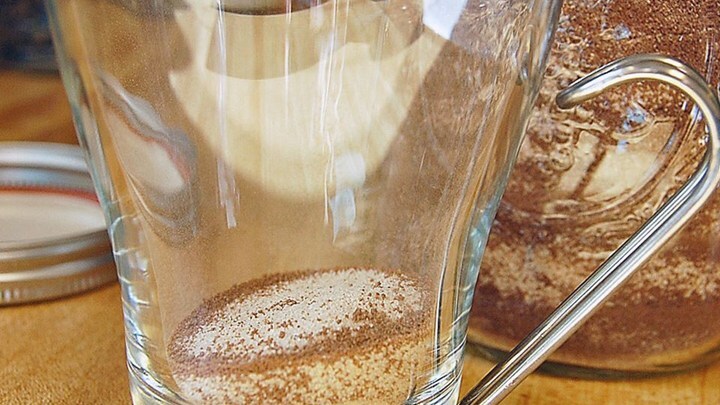 When ready, remove the filter and fill the pitcher with ice. Next, shake the pitcher vigorously to chill the drink (it will only take seconds). The package comes with a diffuser holder to avoid messes. The entire process is fast – your iced tea will be ready in about 10 minutes (from start to finish). The pitcher is designed to be long and tall – which can prove to be a problem when storing it in the refrigerator. The filter can be quite hard to clean when you use loose tea leaves. This model of manual iced tea maker is not complicated at all. 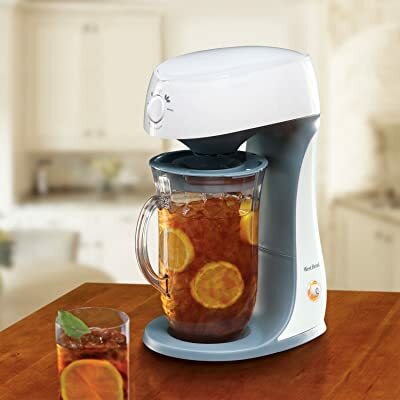 The flash chill technology simply requires you to shake the pitcher of tea with ice cubes in it to create the iced tea for the whole family (it’s not a glass iced tea maker). Any leftover tea can then be put in the refrigerator (no need to transfer it to another container). Patented Drain Mechanism – This is a manual unit that’s designed to automatically strain steeped tea into a cup by pressing a metal plate below the device. The flow will automatically stop when the unit is lifted up from the cup (or when all the water is drained). Capacity – It can make a maximum of 16 ounces of iced tea (equivalent to 2 glasses) per operation. Assembly – This model is made up of 4 pieces of removable parts for easy cleaning. I am amazed at the intelligent design of this model – imagine, it automatically drains steeped tea into a mug! It can even make homemade green tea iced tea using tea leaves. If only it could make more iced tea (not just a few servings), it would have landed on the top #1 slot of this Top 5 list. Capacity – This model can make a pitcher of iced tea (2 quarts) equivalent to 8 glasses. 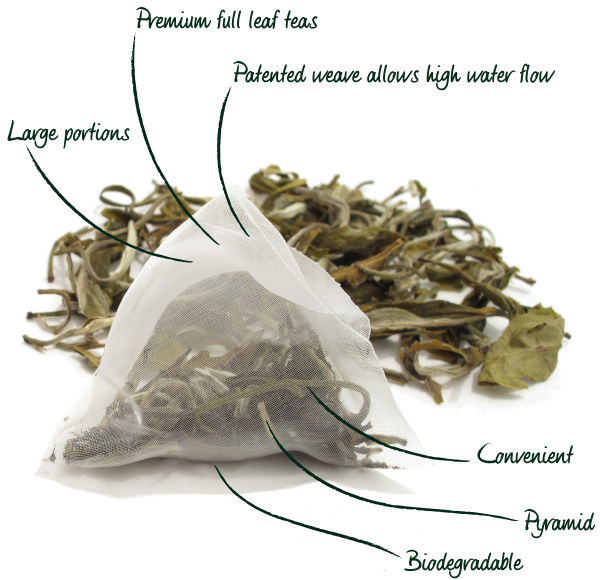 Type of Tea – You can either use loose tea leaves or tea bags (click to buy) in this unit. Brew Basket – It comes with a removable brew basket which you can replace with a regular pitcher lid after steeping the tea. Auto Shut Off – The unit automatically shuts off when the process is completed. 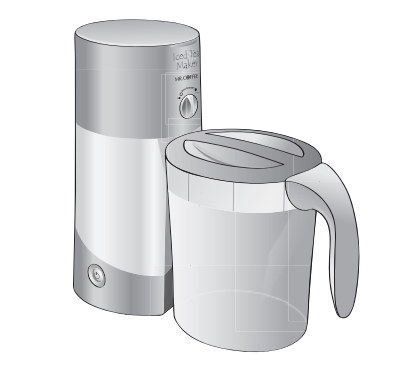 Operation – The main unit heats water up and transfers this to an attached pitcher. Tea is then steeped in the pitcher itself – and when the process is through, all you need to do is to remove the filter. Just add ice and your iced tea is ready for consumption. You need to align the main unit with the pitcher accurately during the steeping process – otherwise, water will leak and make a mess. 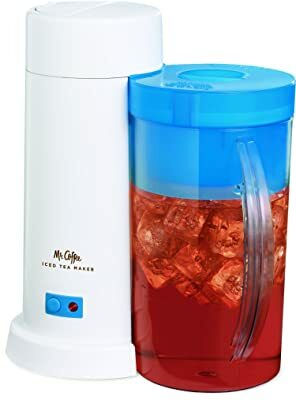 The only sensitive process in using this Mr. Coffee iced tea maker is the part where the main unit is attached to the pitcher. If this part is done correctly, everything else will work out right. 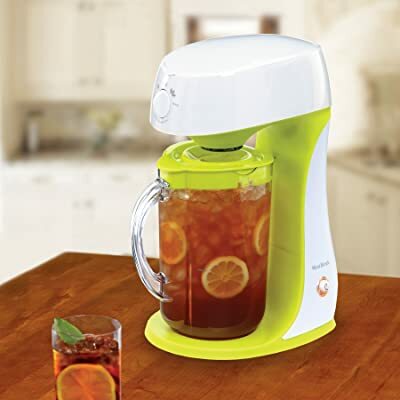 With the electric Hamilton Beach iced tea maker, you can make homemade iced tea right in your own kitchen. This model is available in one color – the water reservoir is colored black and the accompanying pitcher is clear (transparent). Capacity – You can make 2 quarts of iced tea in the included pitcher (equivalent to 8 glasses). 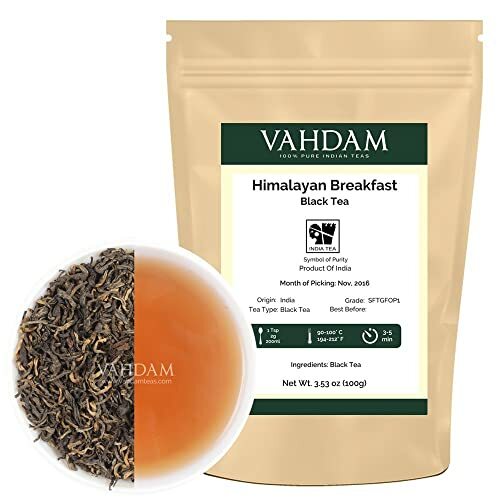 Tea Filter and Coffee Filter – There are 2 filters included in the package – one for steeping tea and one for brewing coffee. Adjustable Strength – A dial can be adjusted to set the tea’s strength from weak to strong. Operation – Fill the pitcher with ice, put tea in the filter, fill the reservoir with water, and turn the unit on. Your iced tea will be ready in just a few minutes. If you like drinking iced coffee and iced tea, this unit is one of your best options in this Top 5 list. You then need to maintain just 1 device for making your favorite drinks. Capacity – It can make 2.75 quarts of iced tea in a pitcher (about 10 glasses). Timed Settings – There are timed steeping settings for your tea to adjust the strength and flavor. Sweetener Chamber – It comes with a removable sweetener chamber. If you still haven’t decided as to which model is the best-iced tea maker for you, let me help you by making a few suggestions. As you can see in the Top 5 list above, I placed the Takeya iced tea maker in the number 1 position. This is a manual model of iced tea maker – but it’s effective, efficient, energy saving, and reasonably priced. Moreover, it can make 1 pitcher of iced tea in just a few minutes. At number 2 is another manual model – this time, from Teavana. I like this unit very much and I highly recommend it to you, too. Just keep in mind that this model can only make 1 to 2 glasses of iced tea per preparation. For an electric model that’s cheap and functional, you can consider the Mr. Coffee fresh tea iced tea maker. Using an electric model is one of the answers as to how to make iced tea quickly and easily. It obviously requires less effort than using a manual type of iced tea maker. 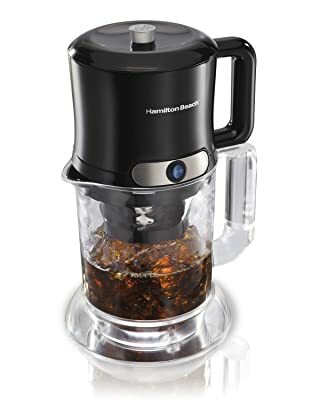 I also like the Hamilton Beach unit since it’s a 2-in-1 iced coffee and iced tea maker. But then, the price is also double when compared with the other models in the Top 5 countdown. So, the choice is really up to you. Let me know which one you like the best by leaving your comment below (I’m really curious, you know). And don’t forget to share this post with your tea drinking friends who are also looking out to buy the best-iced tea maker. Cheers! To boil the water efficiently, you will need a Stovetop or Electric Kettles, click here to find out more.